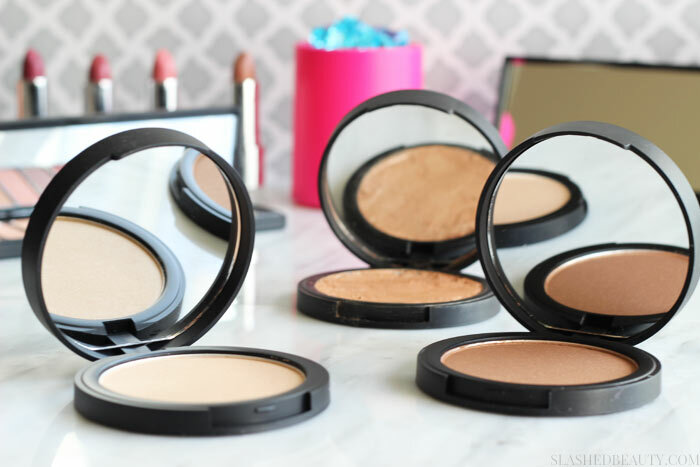 There are few things I love more than a strong, glowy highlight to complement a glam look. If you frequent my YouTube videos, you probably know that I tend to prefer cream highlighting products as I feel they give the most natural but build able look. I can count on one hand the powder highlighters I use regularly, but one more is being added to that list: the new e.l.f. 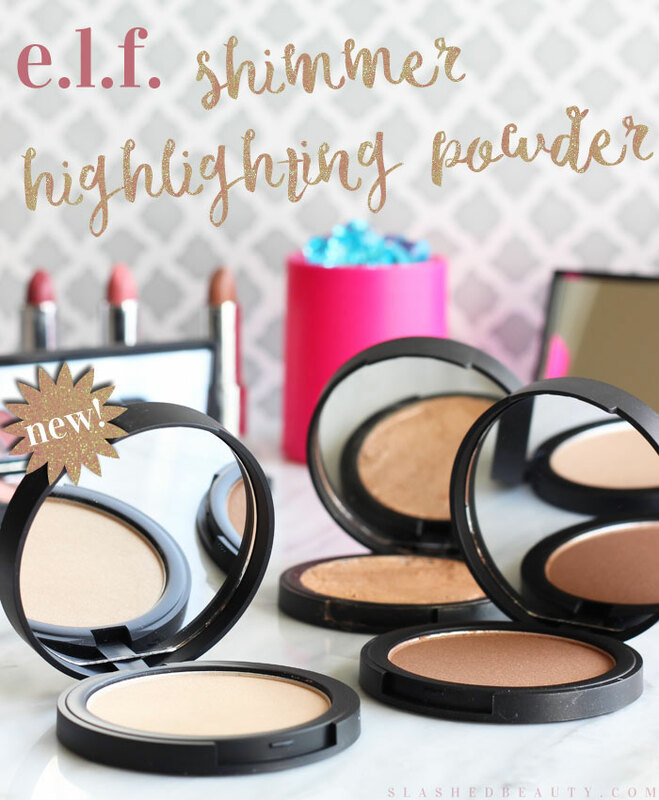 High Definition Shimmer Highlighting Powder. The e.l.f. Shimmer Highlighting Powder is brand new on the scene and online only, with three shades for all of your illuminating needs. I’m happy to say that this is one of the first product launches that I’ve seen from the brand that has kept darker skin tones in mind. Right off the bat, I couldn’t help but gush over the texture. These are incredibly silky smooth— easy to apply and blend on the skin. It’s also soft, so it’s easy to pick up product onto your brush (something that I typically have issues with re: powder highlights). 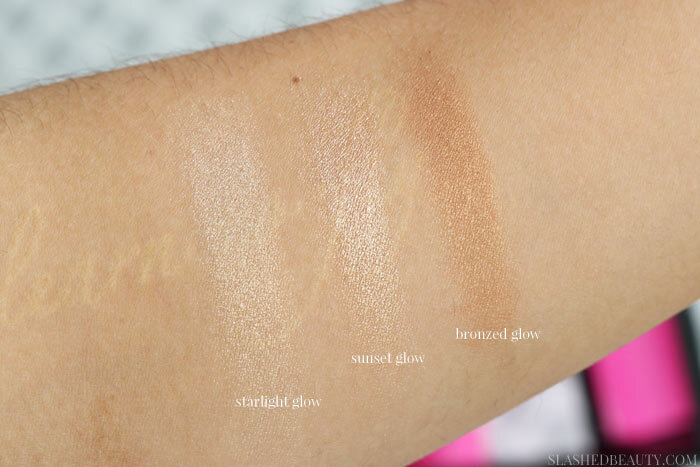 These highlighters are really pigmented, and it doesn’t take a lot to build the effect up for drama. 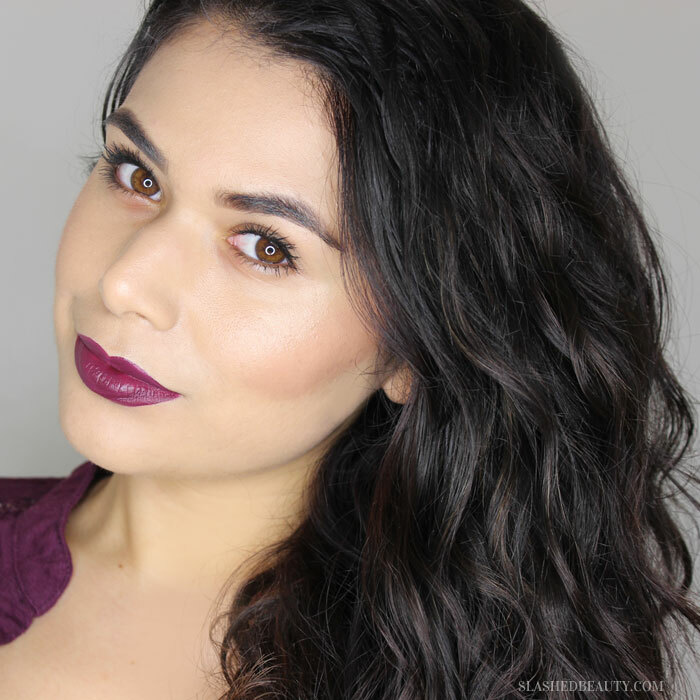 They catch the light to create a bright glow as the cherry on top of any look.The feeling is pretty lightweight on the skin, which is definitely a plus as I’m used to heavier creams. My favorite part, though, is that they’re not what I like to call “children’s makeup sparkly”— as in, they’re shimmery but you don’t see glitter particles. So, they end up looking more natural on the skin for more of a sheen. My favorite has to be Sunset Glow for my light/medium skin. I think it complements my skin tone well and I can either get it to look natural for day-to-day looks, or amp it up for special occasions. I just love the texture because for a powder, they’re still so soft to the touch and definitely create the “soft focus” effect on the skin that they claim. Another thing that sets them apart form other powder highlights is that I don’t feel these incredibly accentuate any texture issues on my skin. I don’t feel like they’re putting the spotlight on any blemishes or unevenness, which is a relief. The e.l.f. High Definition Shimmer Highlighting Powders are only $6, and again, they’re only available online right now. There’s no word about whether these will ever hit stores, so I wouldn’t wait around for them to show up on shelves anytime soon. The shades have been selling out but they’ve been quick to restock, so if you want to try them yourself I’d hurry! 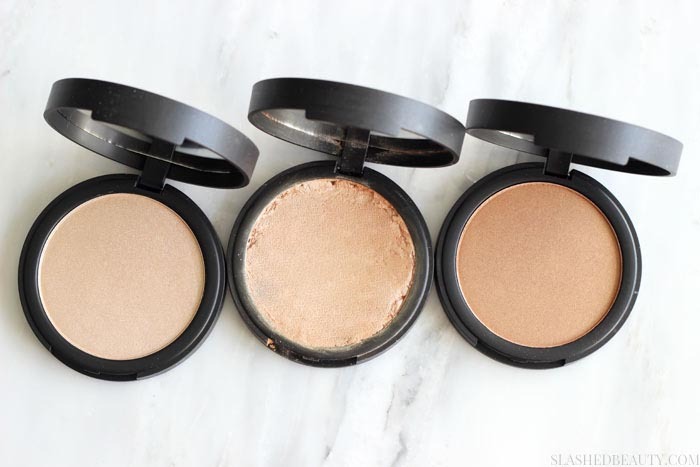 Do you prefer powder or cream highlight?